Ina Garten is one foodie with an unusual start - she has an MBA instead of any formal chef training, and started her career working for the White House's nuclear programme. Our tastebuds are eternally grateful however that she left her job to run a small food store in the Hamptons called the Barefoot Contessa, a move which kick-started her dream job as a full-time foodie. 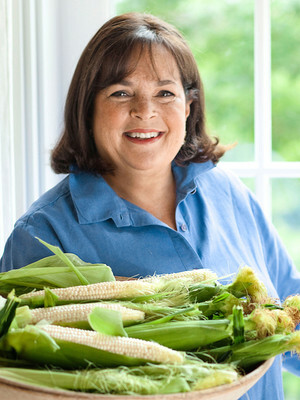 As one of America's favorite celebrity chefs and culinary icon, Ina has published several best-selling cooking books and launched the hit TV series, Barefoot Contessa, on the Food Network in her 15-year career in the world of food entertainment. Her first book, The Barefoot Contessa Cookbook, was published in 1999, with her eighth and most recent one published in 2012. Don't miss the Contessa herself, live and on-stage, as she gives an intimate interview on all aspects of her life and exciting career. A must-see for fellow foodies and food bloggers! Sound good to you? Share this page on social media and let your friends know about Ina Garten at The Chicago Theatre. This is an independent website not affiliated with the venue. 'The Chicago Theatre' as well as all associated graphics, logos, and/or other trademarks, tradenames or copyrights are the property of MSG CHICAGO, LLC and are used herein for factual descriptive purposes only. This website is in no way associated with or authorized by MSG CHICAGO, LLC and neither that entity nor any of its affiliates have licensed or endorsed us to sell tickets, goods and or services in conjunction with their events. 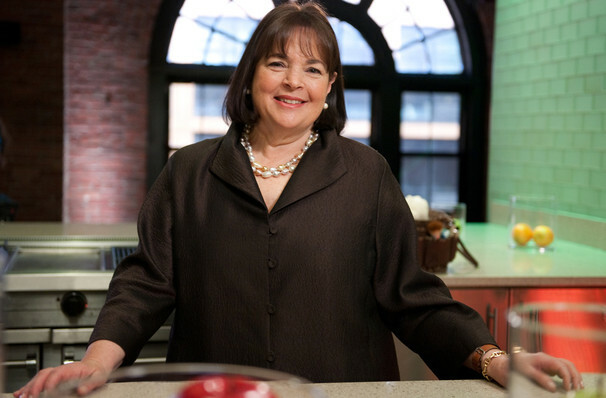 The term Ina Garten as well as all associated graphics, logos, and/or other trademarks, tradenames or copyrights are the property of Ina Garten and are used herein for factual descriptive purposes only. We are in no way associated with or authorized by Ina Garten and neither that entity nor any of its affiliates have licensed or endorsed us to sell tickets, goods and or services in conjunction with their events.